Long time, no post. Its been over a month since my last on. When I found this at the local store and decided I just had to put it up. 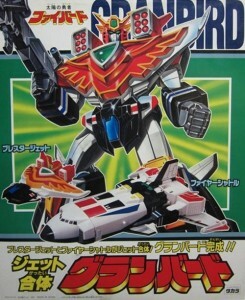 Here is a knock off of a Bandai robot from the 90’s. 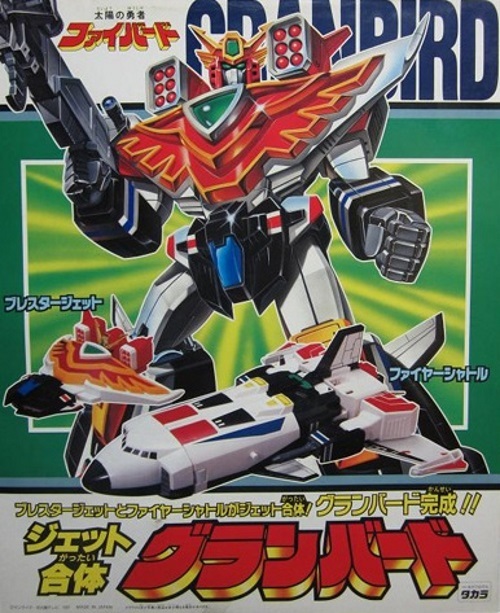 Its the Jet Icarus from the tv show Chojin Sentai Jetman in 1991. The Hawk Overlord Polyfect Toys figure is only $7.99 at your local Tuesday Morning if they have them. It’s the cheapest way to pickup a Jet Icarus figure aside from getting a Soul of Hyper Figuration figure on Ebay. 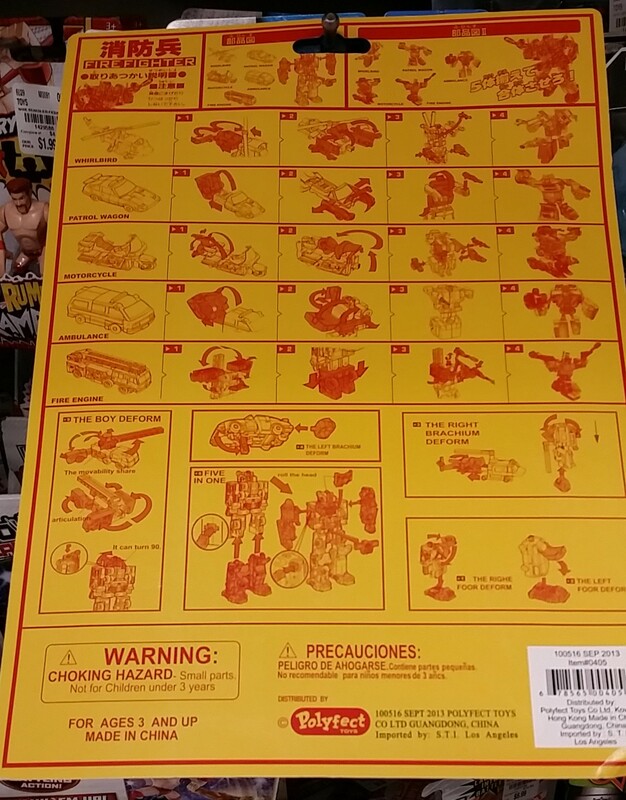 Otherwise a 8″ plastic 1990’s version will run you $140 – $200. If you don’t mind a cheap plastic robot that does not have the quality of Bandai made product, it’s not bad. The store also had a “Change Robot” that was of even lesser quality. Now that was an ugly robot. I should probably put it up with the other bootlegs I have posted. Sometimes the uglier it is , the better it is to gawk at. Anyway, the Hawk Overlord looks pretty decent for what it is. 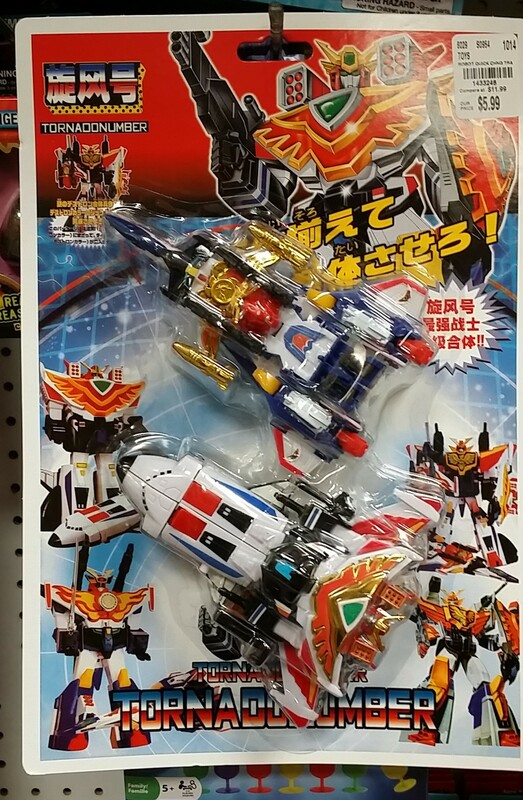 Polyfect puts out a decent looking bootleg. 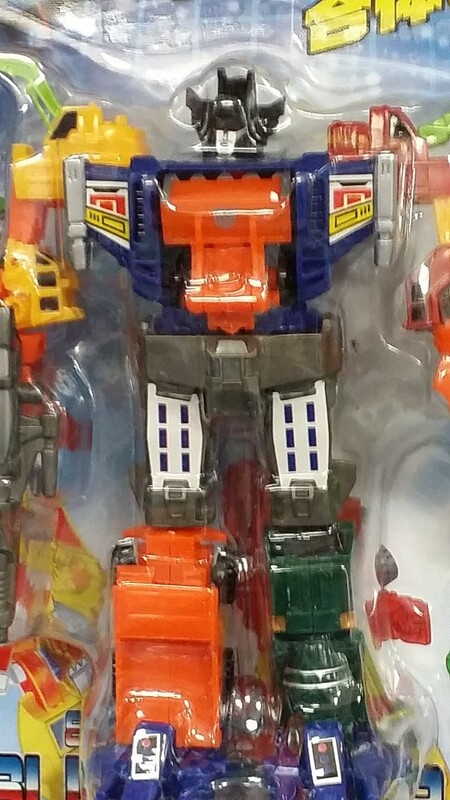 It looks like one of the nicer robots from this line, like the Voltron and Constructicon knock offs they put out. 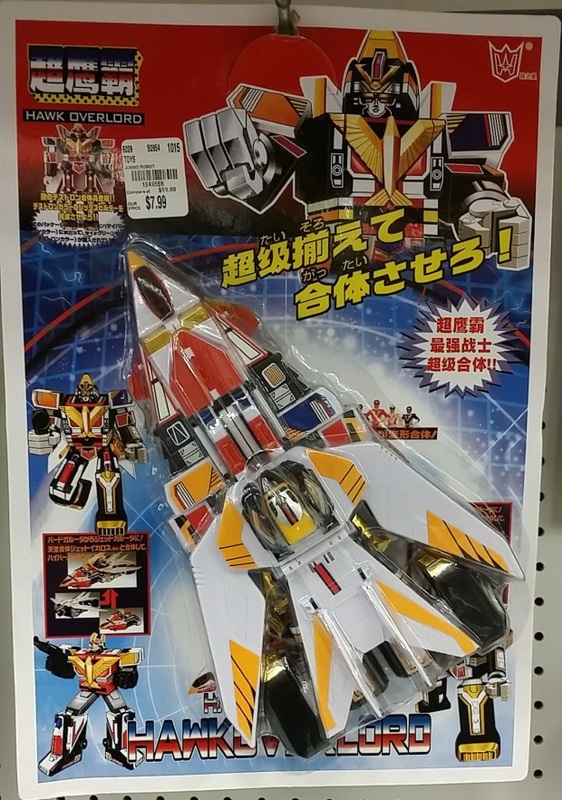 Based on the instructions on the back, it looks like it actually transforms! I am tempted to pick one up for fun. I am curious to see how well they transform and get a closer look at the finish and quality. 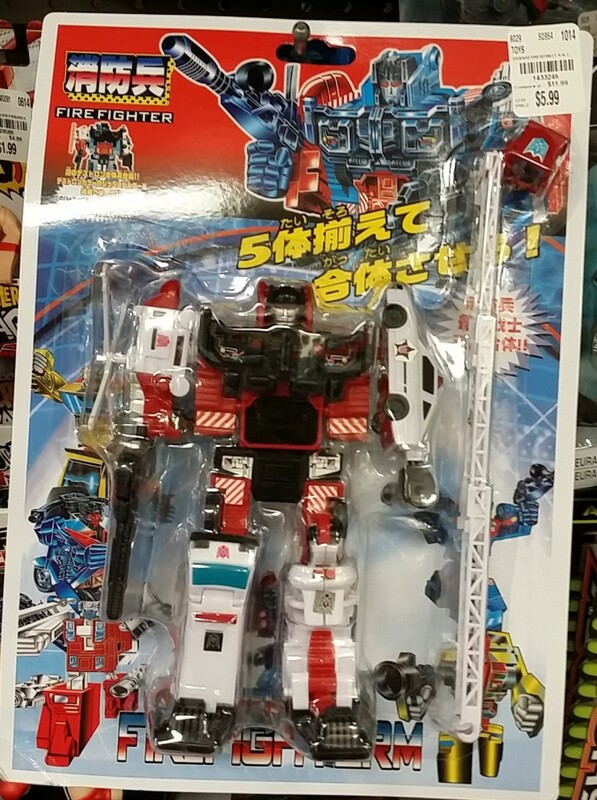 Here is the Polyfect Toys Firefighter 7″ a combiner robot knockoff of the Transformers Defensor with a new job title: Firefighter. I guess I would rather be a firefighter instead of a defender. His new color scheme really matches his new theme and it looks pretty good. I think I prefer it to the original. Of Polyfect Toys robots I have put up so far, this is my favorite. It looks good as a combined robot, the colors sync(which is what made Devastator a nice looking robot despite the heinous green they used), and the design as a whole robot . 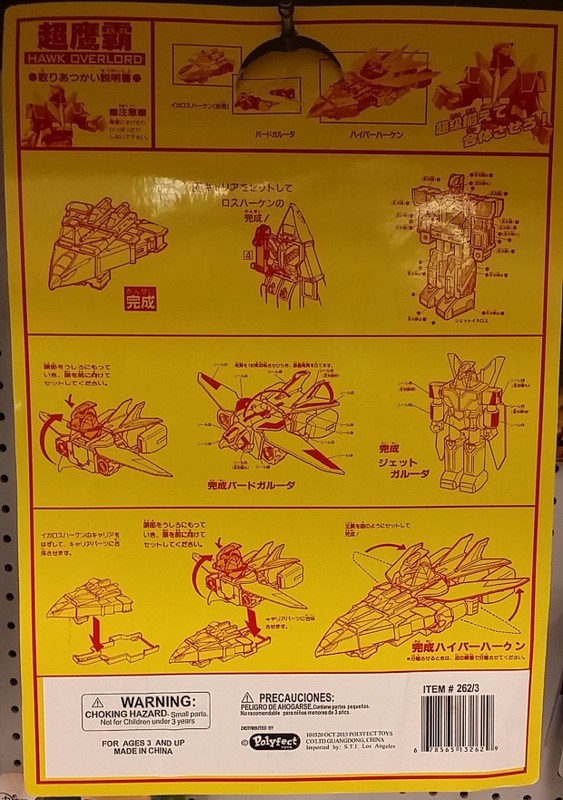 I would have to take this apart and play with it to see if each of the individual robots look good by themselves, but at the very least this looks like good display piece if you do not want to fork out $130 for a reissue Defensor. Or it might be cool to display right next to your Defensor. I like displaying my Popy ST robots next to their DX counterparts. The Polyfect versions are not the same scale as the original robots, but they are still tempting to add to the collection for fun. I don’t actually have a Firefighter robot yet, but I am thinking about it. 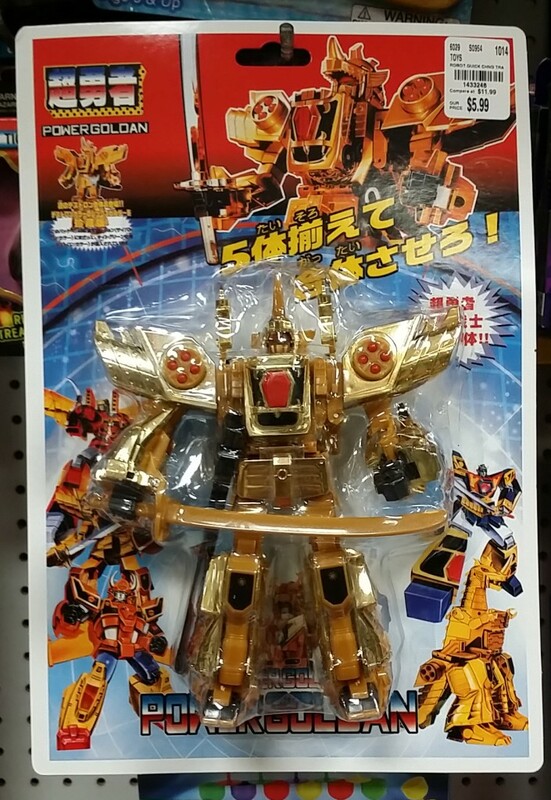 Meet Power Goldan or Ougon Gattai Goldran from the anime Ōgon Yūsha Goldran from 1995-1996. I had never heard of Polyfect Toys till I bought Construction(Devastator knock off). They seem to be the fine purveyors of knockoff robots. 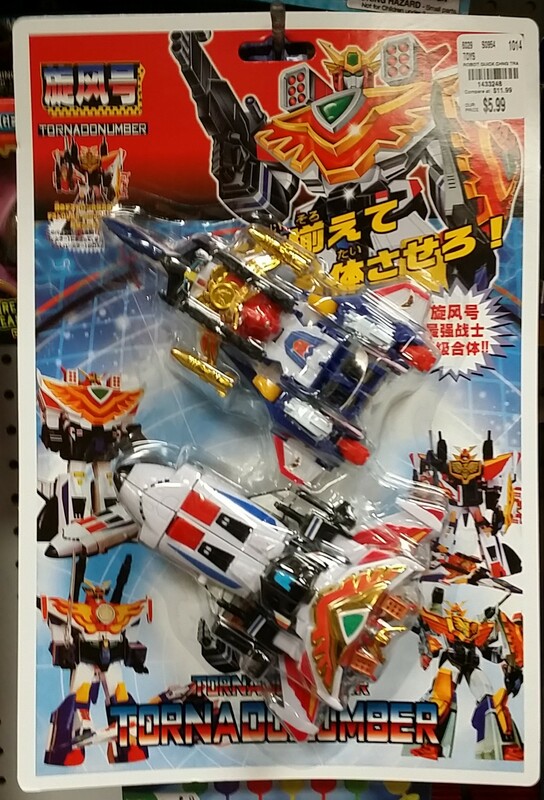 Power Goldan will not be a part of my collection, but I find this toy line fascinating. 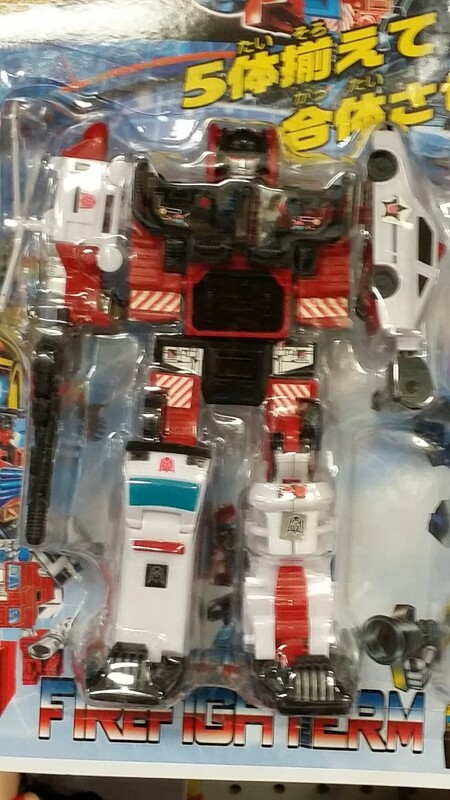 The quality is not terrible and these are not the worst robots I have ever seen. But they are all plastic, the color is terrible, and this one looks kinda cheap. 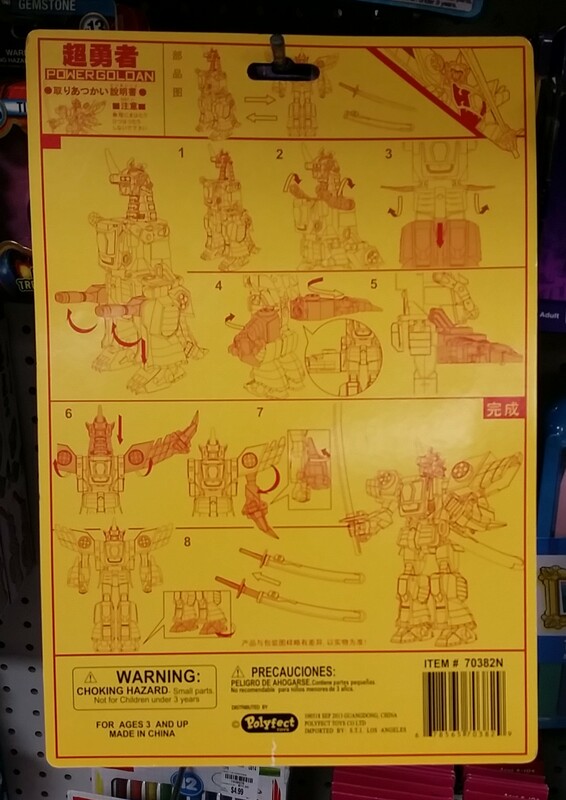 The instructions show he can turn into a dinosaur/dragon type robot and back. I always find cheap robots fun and really tacky(which is the fun part). 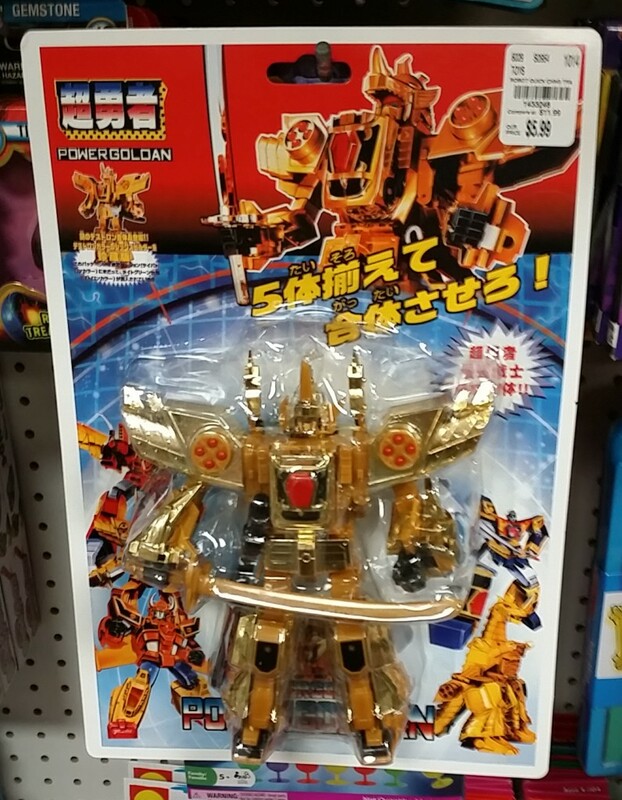 So if you don’t mind spending a few bucks on Power Goldan you can add him to your collection on the cheap. I hope they keep extending this line until I see something I like robot wise. This is Construction(lamest name ever, right?). 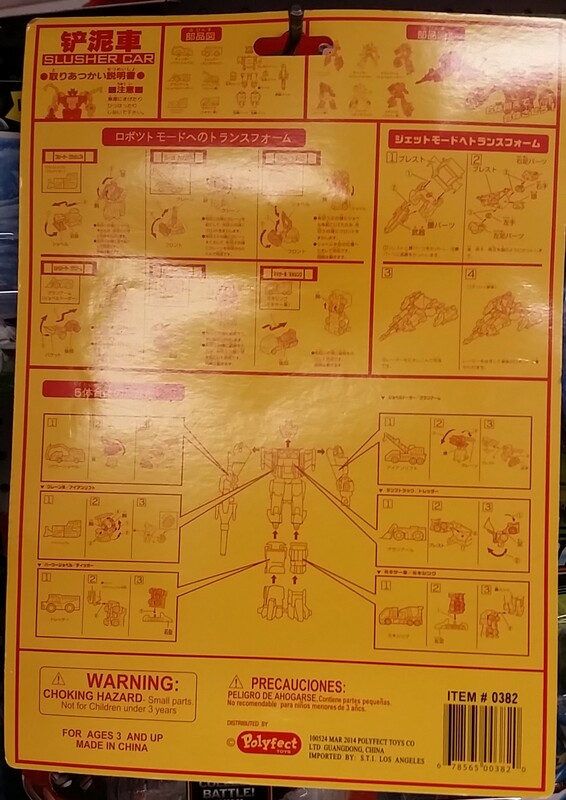 I found this combiner robot at Danny’s Carwash 6 years ago. 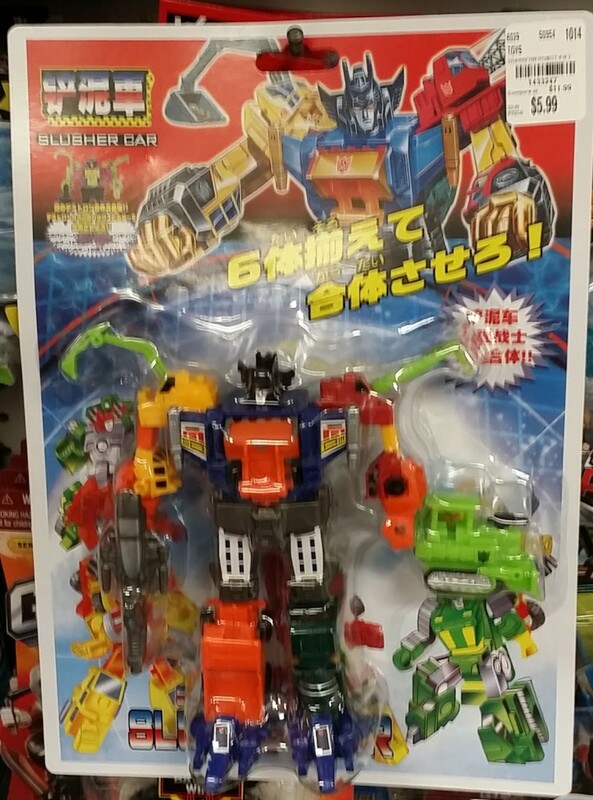 Aside from the robot’s name and brand Polyfect Toys, there is almost no English on the package. It’s all in Chinese. 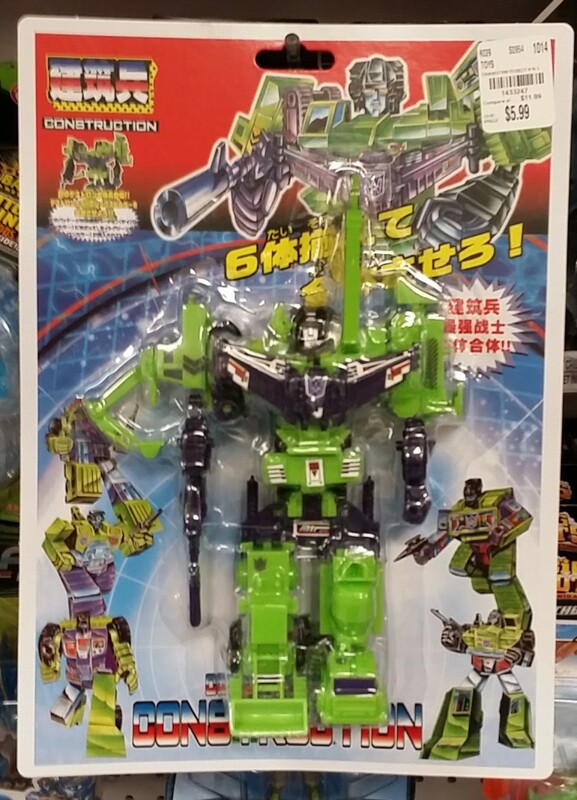 But what this really is, is a really cool knock off of the Generation 1 Devastator. Go figure. I had hours of fun playing with these at my desk at work transforming them when I was bored. 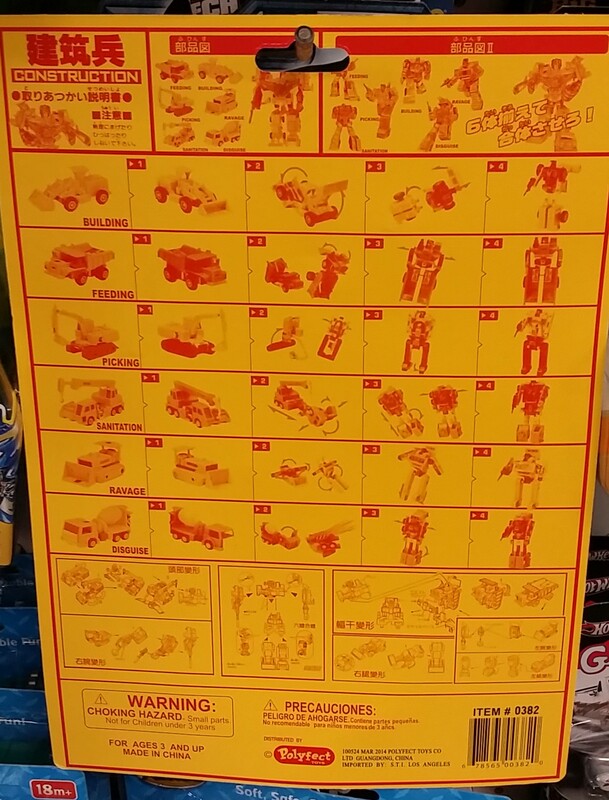 The only other English on the box besides Construction is the name of each combiner robot, the distributor, and the choking warning. The names are as generic as you can get(Building, Feeding, Picking, Sanitation, Ravage, Disguise). Wonder what genius figured out those names? Anyway, I lost this piece and I found it again at the Dollar Store. Guess they keep pumping out more of these, but I am glad they did. I see some Spanish on these, so they must be selling it in Spain or Mexico too. Probably China too, seeing as there is Chinese all over it. This is a fun piece to have and such a great price. I only ever had 2 of the original G1 Constructicons, so it is nice to have them all in this piece. I am wondering why they are still selling the Polyfect Construction after all these years. 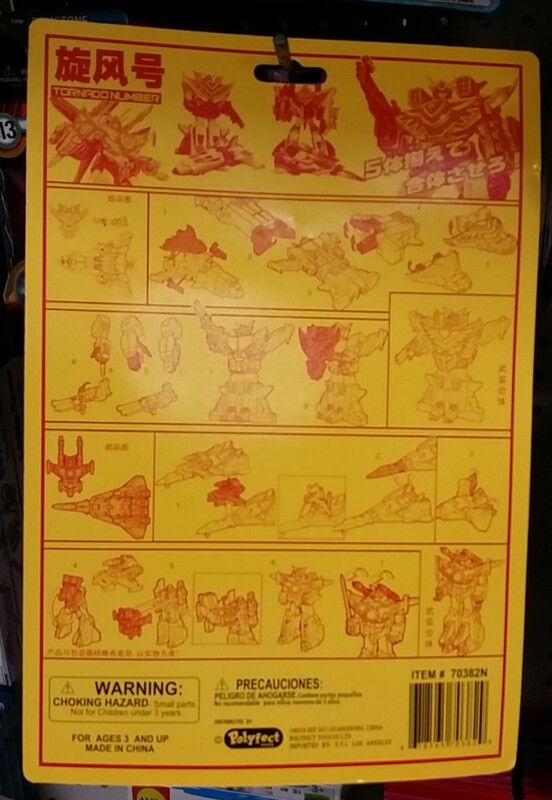 I am thinking Takara must have sold them rights to use the original molds as they look identical to the original Devastator. The quality is not that great(the plastic is cheap and the paint job is not that good), but now I feel much more comfortable transforming each of these as I did not spend a ton on these robots.